Lil Wayne skateboards his a$$ off at a Tampa Skate Park! 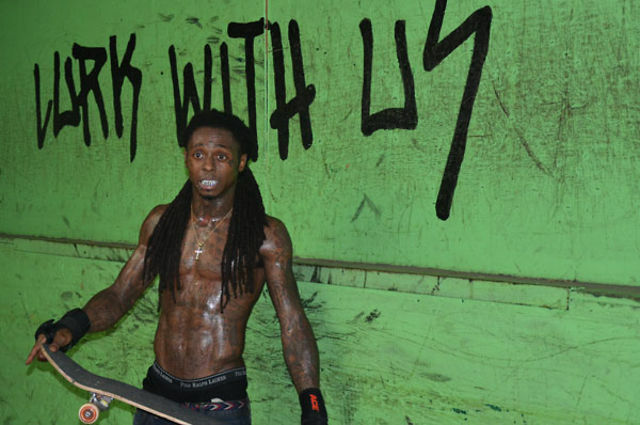 Check out Lil Wayne at a Tampa skate park with his buddies. I never knew Lil Wayne could skateboard to match his fashion statement. It looks like so much fun!!!! I'm also digging the "Work With Us" graffiti in the background ha! Lil Wayne Drops in, Shouts Out at Skatepark of Tampa from Skatepark of Tampa on Vimeo.